Detroit — Giffels Webster, a Detroit-headquartered consulting firm specializing in infrastructure and land development solutions for public, private and institutional clients, announced its work on Detroit’s Beacon Park received two awards in the ACEC/M 2019 Engineering & Surveying Excellence Awards Competition. Giffels Webster was awarded an Engineering Merit Award as well as the Board Design Award on March 2 at the ACEC/M Award Gala, hosted at the Sound Board in MotorCity Casino. 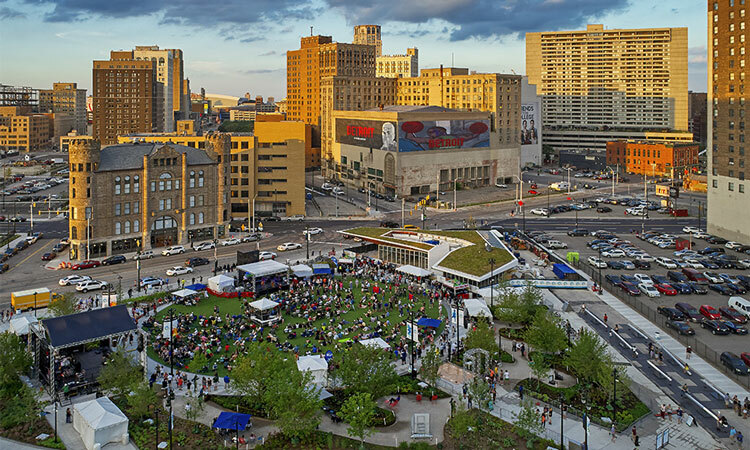 The firm provided civil engineering services, addressing challenges surrounding urban form, process and overall vision for the space covering 1.2 acres of downtown Detroit. DTE Energy began developing a plan to activate the empty lot located south of Grand River Avenue and west of Cass Avenue in 2012, which now stands as the home of Detroit’s environmentally conscious Beacon Park. What started as an idea for a temporary pop-up style park grew into a revitalization project, ultimately serving as a destination for residents and visitors to enjoy dining, shopping and entertainment.